Buy Ultimate Gold Supreme Klean Saliva Detox Mouthwash for drug test. Special detox mouthwashes such as supreme Klean saliva helps a lot to in passing a drug test if executed properly and with careful timings. This detox mouthwash is carefully formulated to clear off all traces of drugs and its metabolites that are found inside the mouth. It also helps to remove toxins present in the person’s mouth within a few minutes of usage. 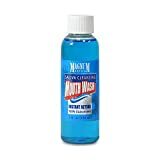 Using Supreme Klean Saliva Detox Mouthwash will help you to provide a clean saliva sample for a mouth swab. You can pass saliva drug tests easily and without any side effects. What is supreme Klean saliva detox mouthwash? Supreme Klean Saliva Detox Mouthwash is the finest detox product available in the markets. This product definitely helps you to pass your saliva drug test just like a cakewalk. All you need to do is use this detox mouthwash half an hour prior to your expected saliva drug test and there you go with positive results. No worries when it comes to any saliva drug test as Supreme Klean saliva detox mouthwash is there for your rescue. It leaves your breath with a great smell and detoxifies your mouth within a matter of few minutes. The best part is that the results last for more than 30 to 40 minutes. Using Supreme Klean Saliva Detox Mouthwash will help you to provide a clean saliva sample for a mouth swab. It also helps to remove toxins present in the person’s mouth within a few minutes of usage. Why use supreme Klean detox mouthwash? Saliva drug tests are no Childs play and they are serious tests that aim to find the levels of drugs in your body. If you consume opiates, cocaine, marijuana or others then these drug tests can find precise measurements at any given time. Usually, a person is screened for this test within hours of drug intake or a few days in certain circumstances. Therefore, if you need to pass this test without leaving any clues of drugs then try supreme Klean detox. The best part is that this product comes with a 500% money back guarantee. You got nothing to lose and lot to gain. Consume half of the Supreme Klean and swish it in your mouth just like normal mouthwash for around three minutes. You should do this for the specified time for positive results and effective working of the mouthwash. Now, spit the content out and repeat the same steps with the rest of the contents of the bottle. Also, make sure not to eat or drink anything after using supreme Klean mouthwash. You have 30 to 40 minutes of time to pass a saliva drug test and come clean. Supreme Klean detox mouthwash is an effective product with enhanced results. If you check online reviews, you will find hundreds of positive reviews and happy customers. However, you can even find a few customers who complain that it did not work. The trick lies in how you use it with proper timing and following the instructions. The majority of the customers recommend this product for saliva drug tests and they say that it is safe without any side effects. Many of them say that this product makes them feel fresh and free from bad breath too. Our oral cavity contains glands that produce saliva each day. This saliva is responsible for cleansing our mouth on a daily basis and maintains the normal ph of the mouth. When we use drugs, the saliva cleanses these drugs and toxins over the time. However, immediate cleansing does not occur and it takes time to do the same naturally. Therefore, when you are in a need to pass a saliva drug test you have to rely on something that is effective and one that comes with quick results. Supreme Klean does the same for you and it provides positive results. You will have to follow all the instructions and timings properly to come clean. In addition using this solution will help to keep your oral fluids free from toxins and drugs. 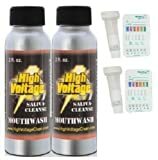 High Voltage Saliva Cleanse Detox Mouthwash - 2 oz. 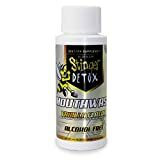 Stinger Detox Mouth Wash 2 fl oz.